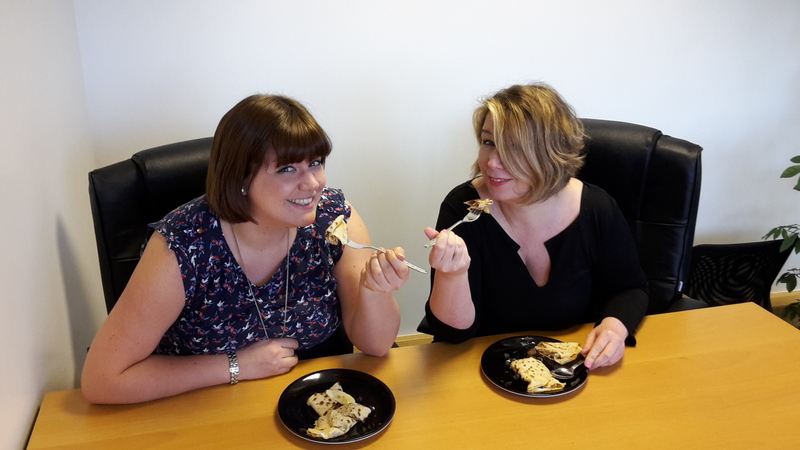 Blue Badge Mobility Insurance Pancake Challenge! 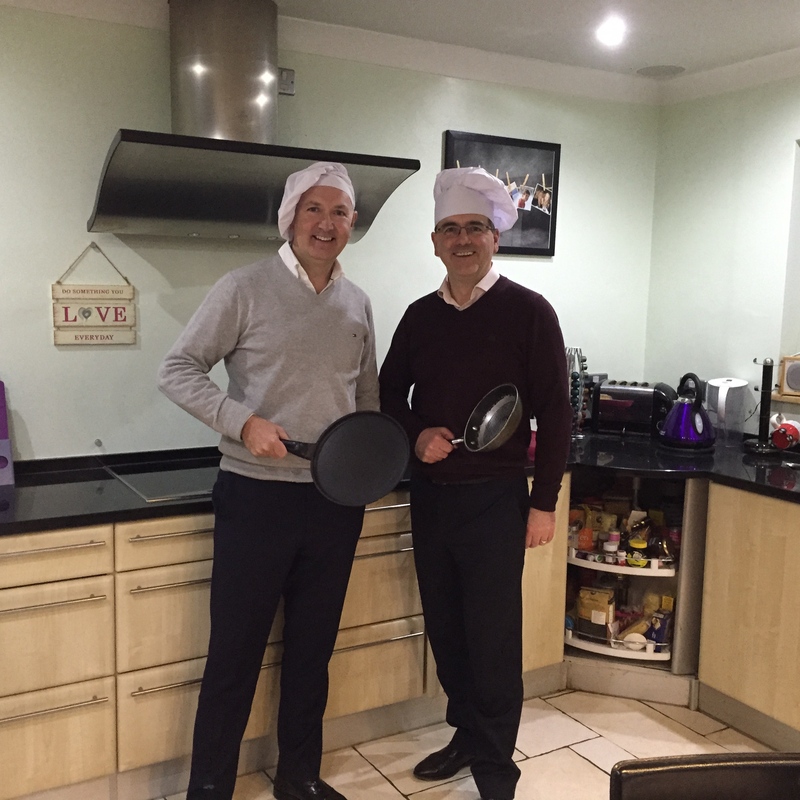 Pancake Day 2015 saw Blue Badge Mobility Insurance’s MD, Andy, take on CEO, Mark, in the Pancake Challenge! Recipes/topping suggestions were sent in by our Facebook fans and Andy and Mark chose their favourites for the cook, flip and taste contest. 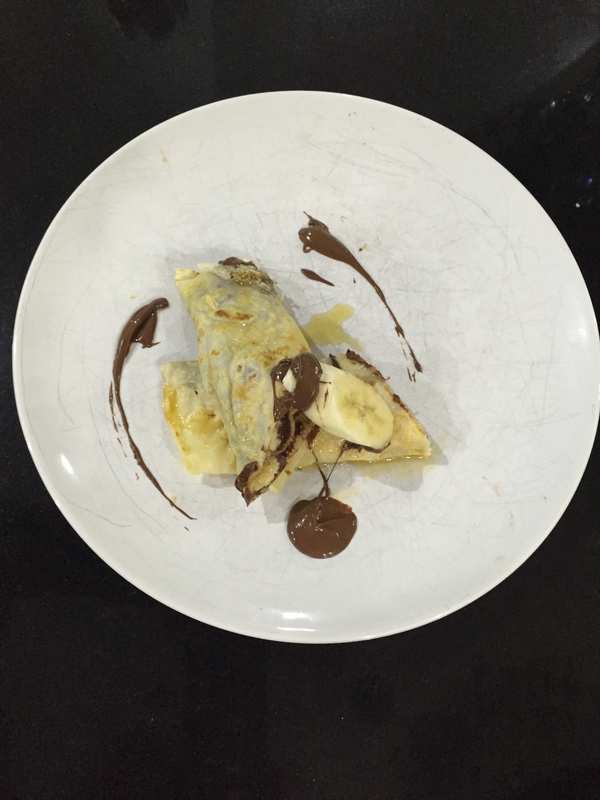 With hats and aprons on Andy went for a classic chocolate and banana whilst Mark opted for a slightly trickier blueberry recipe. The finished creations were then passed round the office for tasting and judging. Andy was declared the overall winner as his pancake was the firm favourite, not to mention his flipping style! For the full flipping action visit our YouTube channel.